Beaches, great food, friendly people, fascinating culture, adventure, wildlife, and more wildlife are what define the exotic country of Tanzania. Located in East Africa, the country is known for its wilderness that includes the vast plains of Serengeti National Park. Every wildlife enthusiast knows that it’s the ‘big five’ that makes a perfect national park: the elephant, lion, leopard, buffalo, and rhino. This Mecca of wildlife has all five and more. There are unparalleled opportunities throughout Tanzania to experience the richness of nature. The sight of giraffes silhouetted against the ancient baobab trees in Ruaha National Park, or holding your breath while the lions in Ngorongoro Crater inquisitively approach your vehicle are experiences that must be had to be believed. And if land safaris are not enough for you, you can take a boat safari down the Rufiji River and get an up-close view of sleeping crocodiles in the Selous Game Reserve, and even watch the waterbirds peck in the shallows around Rubondo Island. If you’ve made a trip all the way to Tanzania, you might as well pay tribute to your sixth grade geography class and visit Mt. Kilimanjaro. Standing taller than all other mountains on the continent, Kilimanjaro entices travellers with its lush, green, forested flanks and majestic snow-capped summit. Apart from a rich variety of birds and wildlife, it is also inhabited by the indigenous African Chaggatribe. Professional and amateur climbers alike visit this majestic mountain to challenge themselves on its muddy, rocky, and slippery terrain. Scaling Kilimanjaro is not a feat just anyone can perform, but if you’re up for the challenge, the reward at the top is absolutely breathtaking! Standing literally at the tip of Africa, the view of ice fields, forests, and barren lands with the sunrise as the backdrop can make even the most cynical person speechless. When you’re done scaling mountains and staring at resplendent wild creatures, we suggest you head over to the Tanzanian beaches. 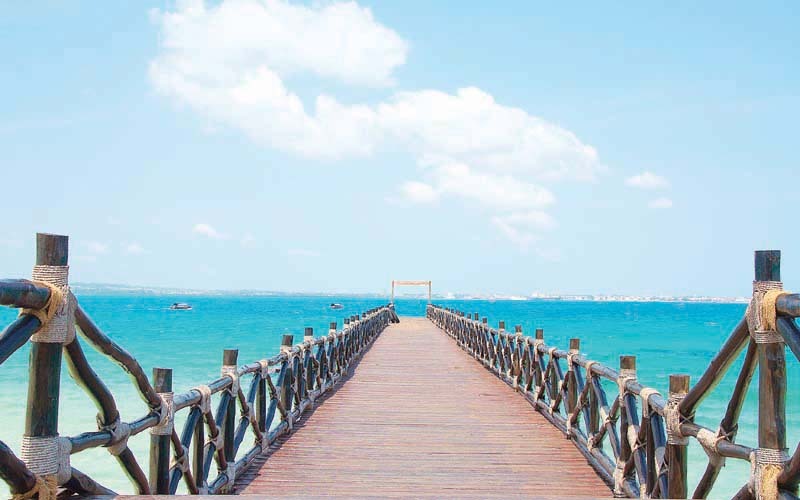 Situated on the coastline of the Indian Ocean, here you’ll find tranquil islands and laid-back coastal villages. Scientists haven’t managed to invent the time machine yet, but journeying through the East African coast is certain to get you pretty close as you travel back in time to the Swahilian villages. We’d recommend meeting and chatting with the red-cloaked Maasai warriors and the semi-nomadic Barabaig as you enjoy a local meal and watch their energetic traditional dances. You can maybe even bust a step or two yourself; it will help you delve into the country’s culture and get the best out of your trip!